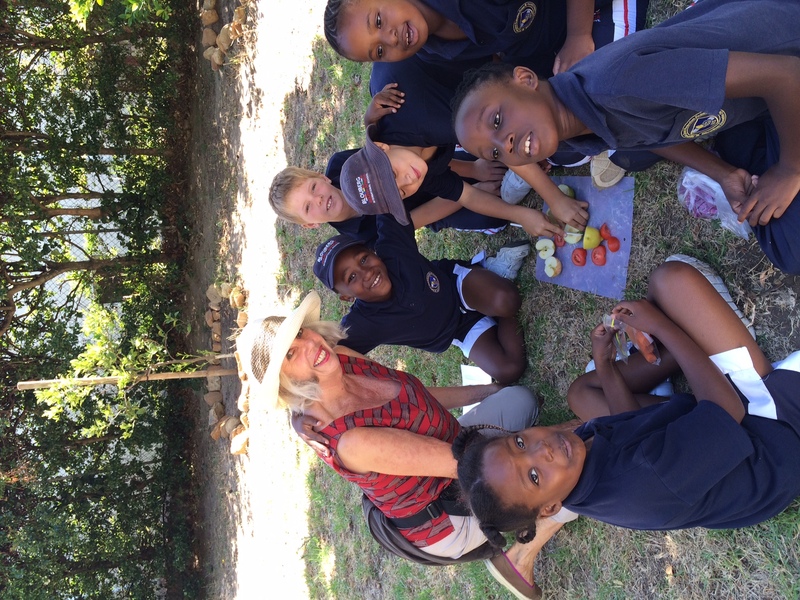 Before we are a market, a veg box distribution centre, or even a farm, Oranjezicht City Farm is an educational non-profit. Our programmes with local school children are one of the most important aspects of our mission to educate. We try to impart values such as respect for nature, and love of healthy eating that will serve young students well for the rest of their lives. Currently, school outings to the farm are the biggest component of our education program. Since 2013 we have hosted over 5 000 learners from a diverse range of area schools. From 2019, school outings will be held on Tuesdays and Thursdays from 09h30 – 12h00. Tours for school staff can also be arranged. Learners of all ages from grade R to grade 11 are welcomed. Programmes include a practical, hands on learning experience in small groups, and a guided tour of the farm. The cost is R60 per learner with a minimum cost of R1000. This fee can be reduced on application. Our approach to education at the farm is based on the principles and practices of the Forest Schools. Our educators have completed their training and qualifications, and we are among the first organisations in South Africa to offer this innovative, holistic approach to hands-on experiential learning in a natural environment. An outdoor farm-based experience to explore our environment, to connect with it and raise important questions about our role as responsible and active citizens. Through creative activities, the children will learn about what makes our environment and how does it looks like in our outdoor classroom. All species are interconnected. We depend on each other. Oceans, forest and mountains provide home for animals. Animals eat plants, plants need healthy soil to grow, smaller organisms help to make compost, insects travel with pollen and create more flowers. In this programme, we will explore how all this works. The first step towards creating a community of children engaged with their environment is to allow them to explore it and investigate it. Our curiosity is turned into awareness when we spend time in nature. We care for that which we know, understand, and feel connected to. Through different outdoor and fun farm based activities we will generate a greater understanding and awareness of our environment. Like the rest of the farm, our education programme is highly reliant on volunteers. 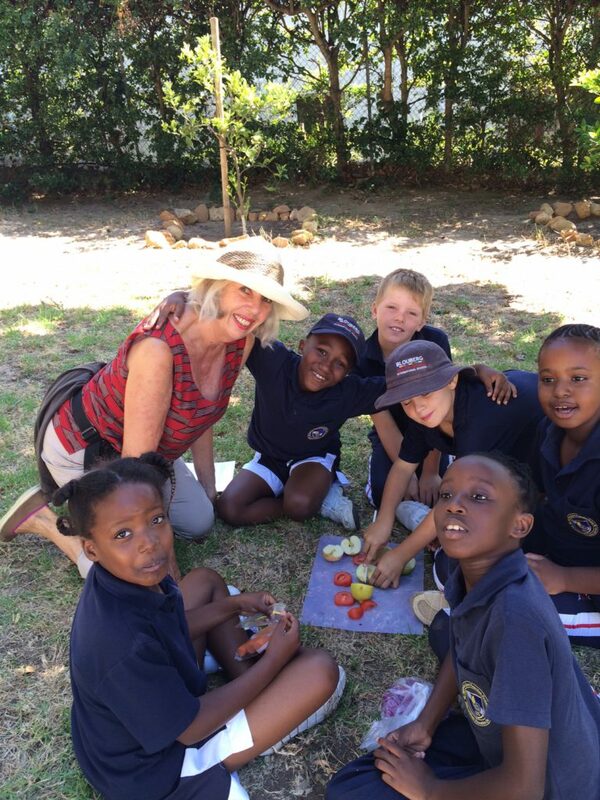 Especially now, as we are expanding the programme with application of the Forest Schools approach, we are in need of dedicated and reliable volunteers who want to contribute to the education of the next generation of Capetonians. If any of that sounds like you, please fill out a volunteer form. If you have any questions about volunteering, email volunteer@ozcf.co.za or visit our volunteer page.